Following a mysterious raid by the FBI late last month, following a 17-month-long investigation in which staffers report agents took pictures of servers and allegedly removed 18 of those servers from the premises, 85-year-old Newsweek’s chaos continues. Yesterday, Newsweek Media Group ordered the firing of three top staffers for what many suspect was retaliation for their work on a story about the financial misdeed’s of NMG and its ties to fundamentalist Christian college Olivet University, founded by the controversial Rev. David Jang. According to the New York Post, editor-in-chief Bob Roe, executive editor Ken Li and investigative reporter Celeste Katz were all released from the company. Two other senior reporters also working on the story, Josh Saul and Josh Keefe, had their email accounts disabled and were rumored to be in limbo. Matthew Cooper, a veteran reporter at the magazine resigned in protest, calling the firings “a disgrace.” This morning, another Newsweek and International Business Times reporter David Sirota announced his resignation, as well. 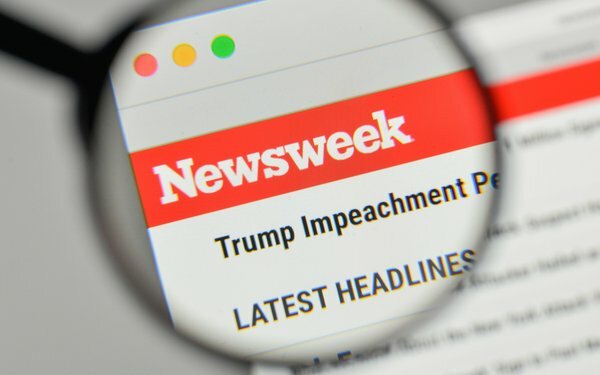 Newsweek Media Group announced in a memo to staff late yesterday that Nancy Cooper, who was the managing editor of sister pub International Business Times, would become acting editor of Newsweek. NMG cofounder Jonathan Davis, who was removed from day-to-day operations along with fellow cofounder Etienne Uzac in 2016, following company money issues, was reinstated as interim Chief Content Officer. Uzac resigned as company chairman last week, as did his wife, Marion Kim, who was NMG’s finance director. The latest turmoil comes on the heels of a sexual-harassment scandal involving Chief Content Officer Dayan Candappa. BuzzFeed reported Candappa had sexually harassed a woman while working at Reuters and was subsequently fired. Candappa is currently on leave from the publication during the investigation. The Daily News reports the fired Newsweek reporters had also covered Candappa’s scandal. As of Monday afternoon, business at Newsweek and International Business Times had come to a halt, with employees being told they could go home, but many remaining at the office to receive further news.